Our rooms include: Cable TV, clock/radio, STD phone, tea/coffee facilties, refrigerator, mini-bar, toaster, wireless Internet, ironing board, air-conditioning/heating, room service, parking and 24-hour reception. Wagga Wagga is one of Australia's leading regional cities and the capital of the Riverina region. With its beautiful sights that include lakes, beaches, gardens and parks, exciting events and contemporary facilities dedicated to sports, culture and the performing arts, it is no wonder why Wagga Wagga has quickly become a popular tourist destination. 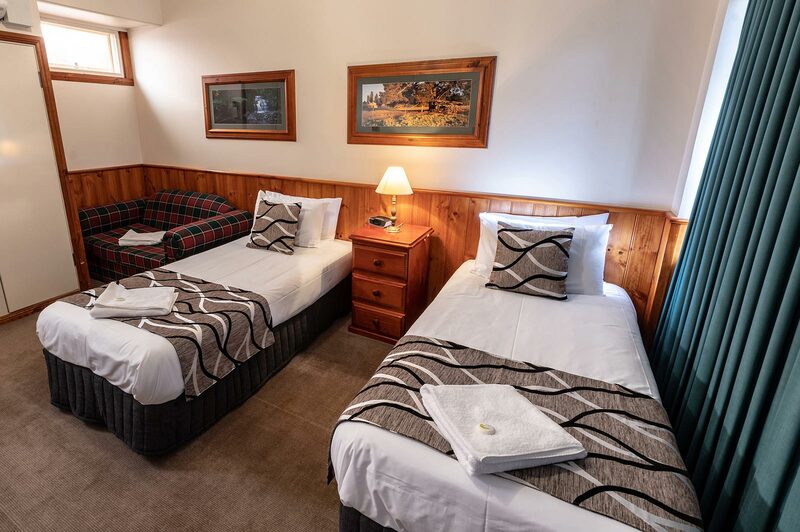 If you are looking for accommodation that is accessible from the Wagga Wagga airport, then look no further than Astor Inn. The Wagga Wagga airport is located adjacent to the RAAF Base, being just 10km away from Wagga Wagga city. The Astor Inn is located right in the centre of town, making it an excellent accommodation within reach of the Wagga Wagga airport. Wagga Wagga is the largest inland city in New South Wales and the capital of the Riverina region. With its diverse offerings of lakes, beaches, parks, gardens, events, accommodations and facilities, this vibrant regional town has become a popular tourist destination. In this article, we take a closer look at Wagga Wagga's beautiful gardens that are well-liked by tourists and locals alike. Apart from being known for its picturesque gardens, parks and rivers, Wagga Wagga is also well known as the "City of Good Sports". In fact, the phrase the "Wagga Effect" was coined based on the phenomenon that a dis-proportionate number of Australia's elite athletes have come from regional cities, with Wagga Wagga has produced producing a significant number of sporting heroes. Let's take a look at some of these Aussie sporting legends. As a bustling hub of the Riverina region, Wagga Wagga is host to a variety of exciting events. In this article, we take a look at some of the popular regular and annual events held in the city. Whether you're a sports fan, a shopaholic, a movie and theatre goer, a music enthusiast, or a food and wine lover, Wagga Wagga will have an event that you will surely enjoy. Wagga Wagga is the largest inland city in New South Wales, Australia and is considered by many as the hub of the Riverina region. It is widely recognised as the "City of Good Sports" because of the large number of sporting heroes that came from this city, including Australian cricket captain Mark Taylor, rugby league hero Peter Sterling and AFL legend Paul Kelly. Wagga Wagga is also known as the Garden City of the South because of its beautiful parks, rivers and gardens. Wagga Wagga is a vibrant regional city that rests on the banks of the beautiful Murrumbidgee River. It may seem like a big country town, but its rich culture, history and heritage combined with its modern facilities and infrastructure make it a fast growing destination. Resting on the banks of the beautiful Murrumbidgee River, Wagga Wagga is the largest inland city in New South Wales and is considered as a major commercial and urban centre of the Riverina. With its rich heritage, diverse offerings and modern infrastructure and facilities, Wagga Wagga provides its residents with a comfortable lifestyle and is also quickly becoming a popular destination among tourists. If you have decided to spend some time in Wagga Wagga, here are some travel tips to help you make the most out of your visit. As the largest inland city in New South Wales, Wagga Wagga is considered as an important urban, agricultural, military and transport hub. Its colourful heritage and its culturally rich community is a product of its origins. In this article, we provide a brief account of how Wagga Wagga became the vibrant city it is today.